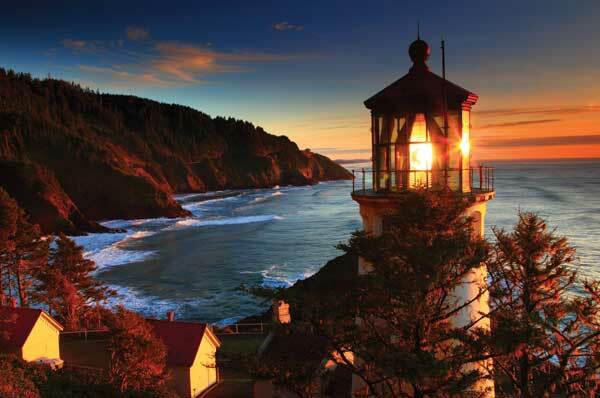 From the rugged and wild tip of Cape Flattery, Washington, to the undulating dunes of Bandon, Oregon, the Northwest coastline has lured wanderers for centuries—some of them straight into the rocks (one reason this stretch is dotted by dozens of picturesque lighthouses). The danger for today’s vacationer, who most often arrives by land, is making a bad choice: crashing, if you will, into a mediocre inn or slurping down a substandard oyster. That’s where our travel and food experts come in. With a variety of traveler tastes in mind, we point the way to the best sea stacks and fish shacks, viewpoints and tide pools—as well as providing a few how-tos to keep your beach adventures on track. If watching sea critters cringe, scuttle and sway floats your boat, consider a visit to this lovely spot on the wild Olympic Coast. At Rialto Beach, just north of La Push, you’ll find the only NATIONAL MARINE SANCTUARY north of California, and plenty of tentacled things lounging around in tide pools. You’ll also find gorgeous views of offshore sea stacks, towering bluffs and a surfeit of surf-battered logs to clamber over (be careful during high tide; logs can roll unexpectedly). 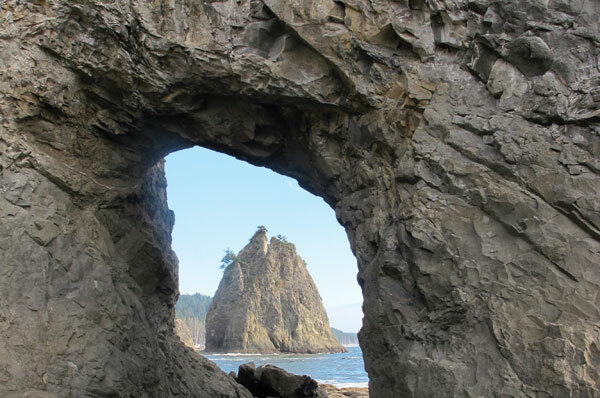 Hike two miles on the flat but rocky beach to its northern boundary for a look at Hole-in-the-Wall, a dramatic rock arch carved by sea and wind; you can walk through the hole at low tide—and tick one more thing off your Northwest bucket list. K.R. 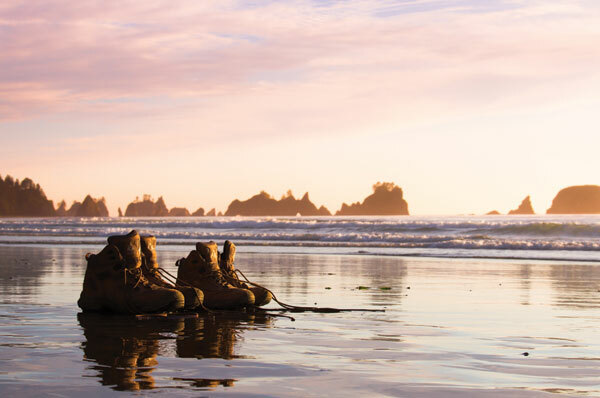 Coast lovers in search of remote, desolate beauty—and unafraid of hard work and a conspicuous lack of amenities—can hardly resist this iconic trek along the longest stretch of undeveloped coastline in the contiguous U.S. near Lake Ozette. It’s not a hike, it’s a lifestyle, for as long as your supplies, your legs and your strategy hold out. Pack up your ultralight gear, a tide chart and enlist your hardiest friends for a weekend of camping and clambering over a stretch of more than 73 miles of beach and headland. You’ll be rewarded with unparalleled vistas of rugged coastline and wild, breathtaking glory—but be warned: There’s treachery here, in the form of unforgiving tides. Rounding a headland can take strategy; many are passable only during low tide. Miss the window? Better hope there’s an overland bypass, or you’ll be forced to make camp and wait another day, or risk a dangerous—potentially even deadly—stranding. One particularly challenging ford hits two-thirds of the way into the 15-mile trek from Shi Shi Beach to Cape Alava, where the Ozette River pours into the Pacific. Nail the timing and celebrate with one of the 99 different microbrews available at the down-home Lost Lake Resort on Lake Ozette, an hour hike inland via boardwalk (campsites, starting at $17.50; cabins, starting at $80. Clallam Bay, 208660 Hoko Ozette Road; 360.963.2899; lostresort.net). K.R. It’s easy: Drive in. Unpack. Have fun. Seabrook is a family-friendly New England–style planned village on the Washington coast with an incredibly beautiful, sandy (yes, sandy!) beach, parks and trails, everything from sweet little cottages to stately homes for rent, and amenities such as an indoor community pool and the Front Street Market—the go-to place for s’mores fixin’s, a great wine for dinner, an early-morning latte (15 Seabrook Ave.; 360.589.2414; Facebook, “Front Street Market”)—all within easy walking distance). Spend days getting physical with hikes, long beach walks, bike rides (cycles are available to rent, $5/2 hours or $20/day) and playground adventures. Perfect evenings include cooking fresh seafood in a fully equipped kitchen (don’t picture a cramped, kitschy condo; these new homes are nicer than most folks’ primary residence) or dining at Seabrook’s Mill 109 Restaurant and Pub (mill109.com), followed by relaxing on the front porch. It’s the best of two worlds: roughing it (imagine your kids covered with trail debris) combined with the comforts of plumbing and a beautiful roof over your heads (welcome on rainy afternoons). Iron Springs Resort in Copalis Beach, 11 miles north of Ocean Beach, retains the simple charm of the 1940s (when it was built) with not an ounce of mustiness, and has plenty of modern extras, including a well-stocked general store, Wi-Fi and its very own food truck. Each of the 28 cozy (and tastefully restored) cabins perched among windswept pines has a killer view and either a woodstove or fireplace—an ideal base for hiking nearby sand dunes, collecting seashells or playing hours of “fetch the driftwood” with your pup, who is welcome here, for an additional fee (from $279 in the summer. 3707 Highway 109; 360.276.4230; ironspringsresort.com). BYO kayak or canoe, and paddle the nearby Copalis River to see the ghostly remnants of an old cedar and spruce forest believed to have been transformed into a salt marsh by an earthquake hundreds of years ago. Whether you think life’s a beach, a beet or blue grass (or all three), the Long Beach Peninsula is the ticket. Birders, walkers and families are among those drawn to the shore; and kids and dogs find it marvelously exciting to splash at the water’s edge. Many folks are attracted by what is billed as the world’s longest drivable beach. But be aware that the practice endangers wildlife, pedestrians and the vehicles themselves; photos and stories of cars stuck in the sand as waves engulf them are a staple of the peninsula newspaper. (If you can’t resist, go to the Long Beach Peninsula website for tips: funbeach.com/beach-driving.) Nonmotorized pastimes include building sand castles (Long Beach hosts an annual competition; sandsationslongbeach.com) and flying kites (thousands of aficionados attend the annual kite festival; kitefestival.com). The peninsula is also packed with farms. Signs advertising “FRESH EGGS” dot Pacific Highway and Sandridge Road, the twin north-south thoroughfares. Eggs, as well as organic greens and produce, are also available at the Green Angel Gardens Farm Store (6807 Sandridge Road; 360.244.0064; greenangelgardening.com/organic-produce). Cranguyma Farms (3206 113th Lane; 360.642.3201; cranguymafarms.com) offers U-pick and already-picked blueberries and cranberries (a coast staple). Head to the north end of the peninsula for goat cheese (hard or soft), goat milk, goat milk soap and even goats, at LJ Ranch (Ocean Park, 3202 318th St.; 360.665.0107); parents have been known to pose offspring next to the “KIDS FOR SALE” sign. If you want the peninsula’s bounty in one place, Long Beach hosts a seasonal farmers’ market (longbeachwa.gov/cpfmourvendors) on Fridays. A great base of operations is the new Adrift Hotel ($115–$180; 409 Sid Snyder Drive; 800.561.2456; adrifthotel.com), which is steps from some 27 miles of uninterrupted sandy beach, as well as the eight-and-a-half-mile Discovery Trail (and there are 15 beach cruisers free for guests). The 80 rooms and family-friendly suites are furnished with recycled or reclaimed furniture that gives a minimalist but still cozy vibe, and almost all rooms have ocean views. Upstairs, you’ll find Pickled Fish (360.642.2344; adrifthotel.com/pickled-fish), the peninsula’s only ocean-view restaurant. 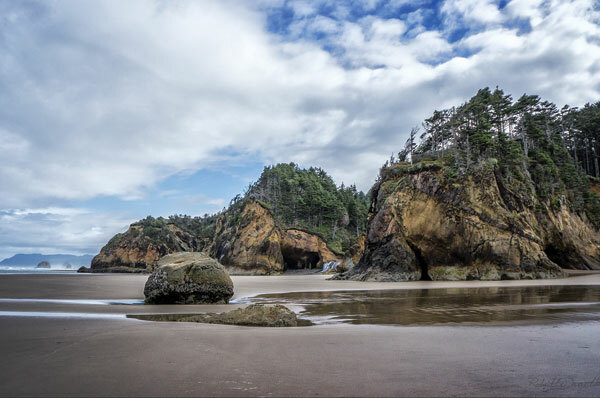 Cast your line off the coast of La Push, a little Quileute Indian village on Washington’s north coast, and you’ll catch jumbo views along with your tuna. In summer, the waters here and at nearby Umatilla Reef are the feeding grounds for salmon that have traveled from rivers ranging from California to Alaska. Famous for its ocean fishing, this beautiful—but not overfished—area has seen a dramatic resurgence in the past few years, with anglers aiming to hook halibut, king, coho, chinook and silver salmon, lingcod—and in late summer, tuna. Find fishing guides and charters at olympicpeninsula.org. K.R. 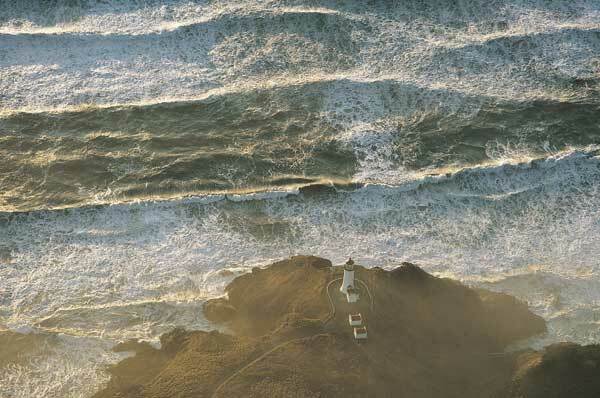 For notoriously rough seas and sheer weather drama—roiling surf, menacing thunderheads—it’s hard to beat Cape Disappointment, just south of Long Beach, at the entrance to the Columbia River. More than 2,000 vessels have wrecked here. (After blowing right past the river’s entrance in 1788, English explorer John Meares gave the cape its name.) Conditions here are so notoriously dangerous—a riotous combination of wind, fog, powerful currents and punishing waves—that the Coast Guard located our country’s only school for rough weather and surf rescue operations here. Plan your visit in winter when the forecast looks promising; the area’s raging storms can last for weeks. Take in the view from the LEWIS AND CLARK INTERPRETIVE CENTER, a glass-fronted perch clinging to cliffs 200 feet above the pounding Pacific (Ilwaco, 244 Robert Gray Drive; 360.642.3029; parks.wa.gov). Check out the bonus next door: wood-fired, thin-crust pies (some with shrimp toppings) at SERIOUS PIZZA at the Cape Disappointment Store (Ilwaco, 243 Robert Gray Drive; 360.642.3060; capedisappointmentstore.com), with delivery to campers throughout Cape Disappointment State Park. K.R. Without tropical breezes and crystal clear waters, Oregon may not seem like the most obvious surf destination. 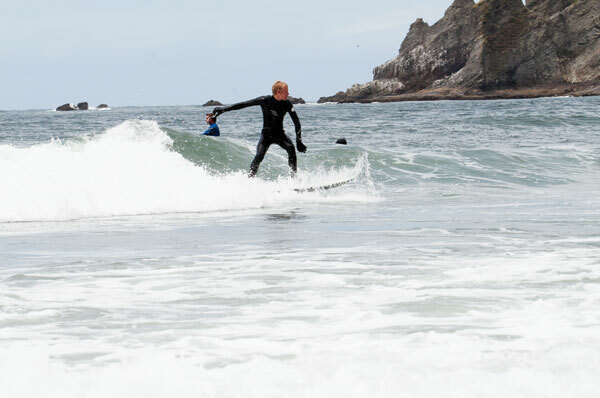 But a slew of sandy beaches, killer waves and friendly locals make Oregon’s North Coast a great place to try the sport for the first time, especially if you take a lesson. Water temperatures in Oregon usually range from the 40s to the 50s, so wetsuits are a requirement year-round. The good news: A modern wetsuit, with a hood, booties and gloves, will keep you comfortable in the water. The payoffs are huge. 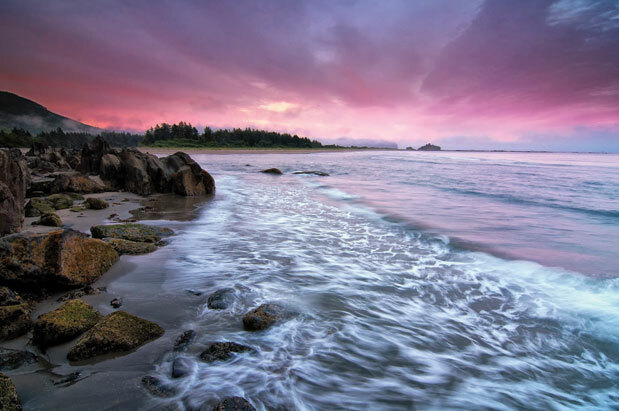 Catching a wave here means feeling a thrill while being immersed in some pristine coastal scenery—secluded coves buttressed by old-growth Sitka spruce forests, gentle river mouths and wide, sandy beaches. 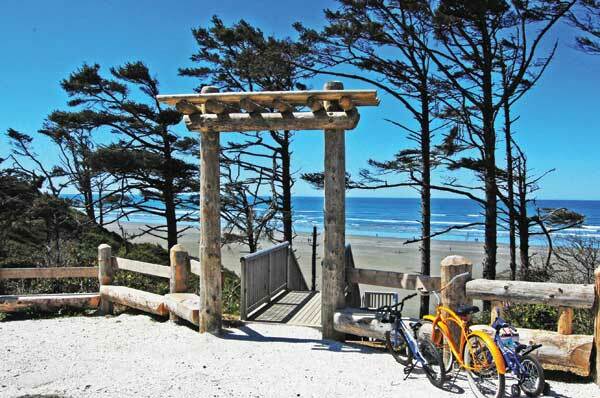 Sweet Cannon Beach is the has-it-all destination for beach-bound families. With miles of sand for castling, wriggling tide pools for viewing (and ew-ing) and those remarkable, primordial sea stacks, it’s a beachy feast for the senses. 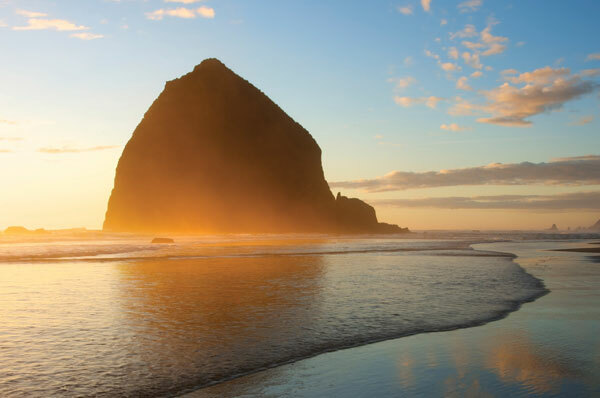 Set up in a seaside suite that overlooks the town’s iconic basalt formation, Haystack Rock, at the Surfsand Resort (148 W Gower Ave, Cannon Beach; 800.547.6100; surfsand.com), then walk to the tiny downtown, which sports a browse-worthy bookstore, Cannon Beach Book Company (130 N Hemlock; 503.436.1301; cannonbeachbooks.com), a plethora of galleries and gift shops, and a slew boutiques of the appliqué-and-sequins variety. Try Organic Boutique for Blue Canoe and Prairie Underground (139 W Second St.; 503.436.4199; Facebook: “Organic Boutique”); next door, stop for a seriously credible cuppa at Insomnia Coffee Co. (139 W Second St.; 503.436.4164; insomniacoffee.co). On the south edge of town, try the fledgling, Kickstarter-funded Sea Level Bakery (3116 S Hemlock St.; 503.436.4254; sealevelbakery.com), for a Hairbender oatmeal cookie and an obsessively prepared pourover. For dinner, head to hidden gem Castaway’s Restaurant & Tiki Bar (316 N Fir St.; 503.436.8777), where locals line up out the door for a taste of the spot-on Jamaican jerk chicken, fierce rum punch and friendly service. End your day astride a sandy steed; take a horseback ride on the beach at sunset at Sea Ranch Resort ($80 cash or $90 credit card per person, two people minimum; 415 Fir St.; 503.436.2815; searanchrv.com). K.R. 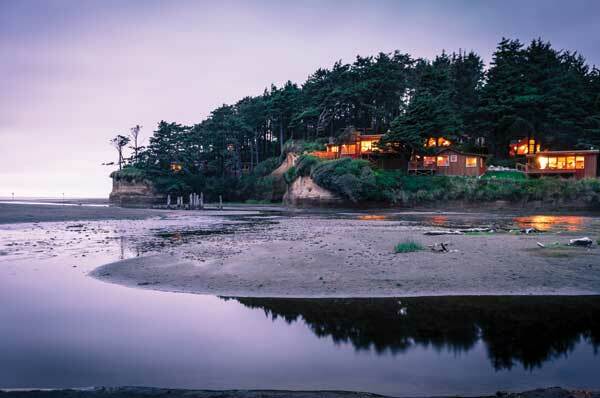 Nowhere will you find such a happy comingling of luxe and lowbrow as on the Oregon coast. Here, ocean-view dining can just as easily translate to cracking crab at a bait shop as supping by candlelight on freshly foraged lobster mushrooms sprinkled with Jacobsen sea salt, hand-harvested from these very waters. Here are our top food picks, from ritzy to rustic. 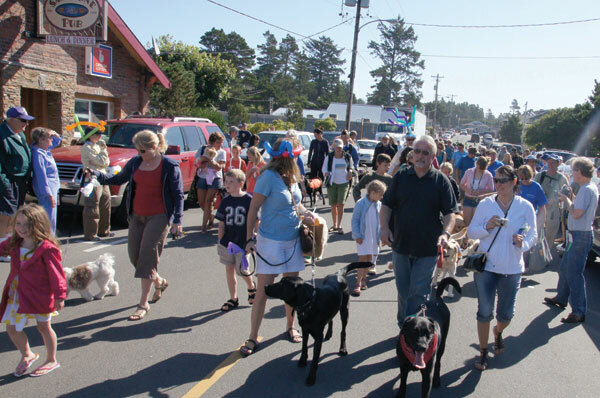 This charming seaside hamlet, about 14 miles south of Cannon Beach, is so canine-crazed, it’s known as “Muttzanita”—also the name of the annual town festival celebrating all things doggy (on September 13 this year; muttzanita.com). Take in a pet fashion show and dog parade, see dog first-aid demonstrations, get your pup professionally photographed, and then scamper to the beach, where your dog will find plenty of frolicsome friends. Afterward, browse the town’s few low-key blocks of shops, including a dog fancier’s paradise, Four Paws on the Beach (144 Laneda Ave.; 503.368.3436; fourpawsonthebeach.com), boutiques, cafés and restaurants, then retire to your garden retreat: a luxuriously appointed (and pet-friendly) Zen cottage a couple of blocks from the beach ($195–$545/night; Coast Cabins, 635 Laneda Ave.; 503.368.7113; coastcabins.com). K.R. Want a million-dollar view for less than $100? Pack up your cooler and sleeping bags and head for Cape Lookout State Park near Tillamook ($88 May–September, $65 October–April. oregonstateparks.org). Sure, several Oregon and Washington state parks have cabins and yurts, but the six deluxe cabins at Cape Lookout, just yards from the beach, combine unparalleled views and a deluxe summer-camp feel with a shower, kitchenette, outdoor grill and even a television with a DVD player. Each cabin sleeps five, and the Cape Meares cabin is pet-friendly. 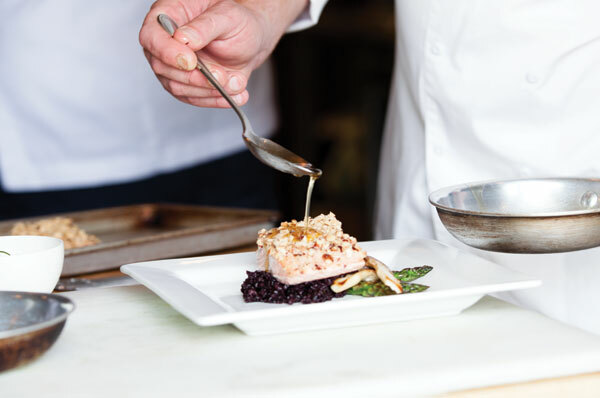 You can reserve online, but scoring a weekend reservation is akin to winning the lottery. Here’s an insider tip: Make sure you’re poised and ready to click the reserve button at 11:59 p.m. six months before you want to be there. That’s the earliest you can make a reservation and, yes, hordes of other bleary-eyed nature lovers will be up late trying to do the same thing. Be patient and flexible; it may take several tries before you get lucky, but persistence pays off. D.C.
For cyclists, Portland isn’t exactly near the coast. 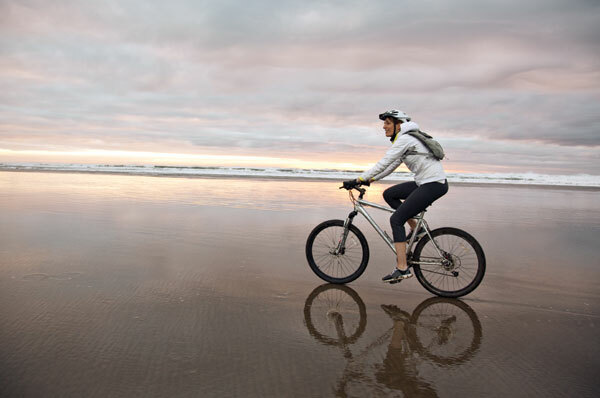 But the city is close enough to make the beach an epic one (or two) day ride away, and some Portlanders consider “reaching the beach” to be a cyclist’s rite of passage. There are many ways to reach the North Coast by bike, but the Nestucca River Road stands out as a low-traffic, shady route that connects the wine country hamlet of Carlton with Highway 101. To get to the Nestucca River Road, cut out climbing over Portland’s west hills by taking TriMet’s MAX light rail train (with your bike) to the Hillsboro station. From there, you’ll ride west through some sprawl to Carlton, where you’ll get to work. NW Meadowlark Road becomes Nestucca River Road, which passes verdant campgrounds, many of which have water, and follows the gurgling river. Weekends mean fewer logging trucks. Once you reach Highway 101 at the town of Beaver, you’ll still need to ride about 14 miles to reach the PELICAN PUB & BREWERY (Pacific City, 33180 Cape Kiwanda Drive; 503.965.7007; pelicanbrewery.com), the only Oregon brewpub that sits right on the beach. There, you can wiggle your toes in the sand, drink a pint of fresh beer and relish your accomplishment—a 91-mile ride from the MAX station. If that distance sounds better broken up over two days, consider spending the night in Carlton. L.B. You can have your dunes, your Haystack Rock, your historic lighthouses. In a state where the entire coast is public domain (see “Public Access,” below), the best beaches are the ones that feel private. Driving on Highway 101 five miles south of bustling Cannon Beach, you’ll likely whiz right past the little sign for Hug Point. But keep your eyes peeled and you’ll be rewarded with a cozy beach in a tiny cove where you can while away the day in relative seclusion. It’s the perfect spot for kids. At the north end, a shallow stream flowing through the sand from a little waterfall on the cliff provides a safe place for splashing, plus easily accessible water for sand castle building. Next to it, cool, dripping caves carved into the sandstone point offer a taste of adventure for budding explorers. There are always surfers to watch. Also, low tide exposes tide pools and an old wagon road carved into the rock, which you can follow around the point like the old stagecoaches did. Perhaps best of all, clean restrooms are just up the hill. Bring a big picnic and a beach umbrella, because once you’re nestled in the embrace of Hug Point, you won’t want to leave. D.C. So, you’ve got the yen to go crabbing, but don’t want to hassle with charter boat reservations and Dramamine. You’re in luck. Head for the big, sandy beach at the north end of Siletz Bay in Lincoln City, where you can cast a crab trap right from the shore. 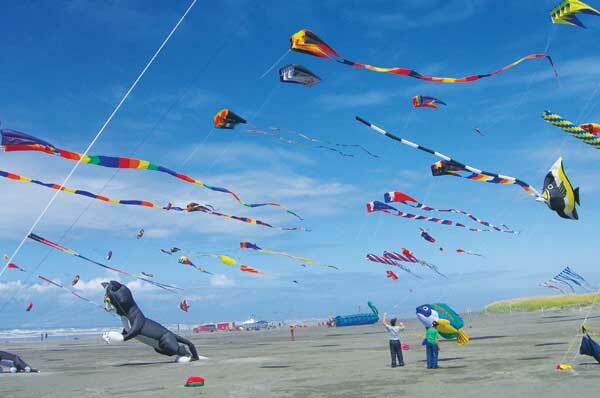 While you catch dinner, kids and lazy tagalongs can play in the sand, fly kites or poke around the taffy shops and antique stores just blocks away in the Taft business district. And don’t worry about the gear. Down the road at the south end of the bay, Siletz Moorage (82 Siletz Highway; 541.996.3671) sells everything you’ll need: an ingenious crab trap that folds flat, chicken legs for bait, a ruler to measure your catch, a Styrofoam ice chest and a shellfish license. No keepers? No problem. Mo’s Restaurant (860 SW 51st St.; 541.996.2535; moschowder.com), beloved for its chowder, is right on the beach, and you’ll find plenty of old-school burger joints and fish-and-chip shops nearby, too. D.C.
Fresh albacore for $3 a pound, halibut for $7, Chinook salmon for $9. What sounds like a dream (or a price list from the 1930s) is a reality in Newport, where every summer you can buy just-caught fish right off the docks from the fishers themselves. Best known as the home of the stellar Oregon Coast Aquarium (aquarium.org), and picturesque Yaquina Bay Lighthouse and bridge (yaquinalights.org), Newport is also a real-deal commercial fishing hub, and the city’s Bayfront district, along Yaquina Bay, is the heart of the action. The main drag, Bay Boulevard, offers an eclectic mix of historic buildings, commercial fish-processing plants and tourist attractions. Shop for taffy and souvenirs, grab a delicious burger and beer at the Rogue Ales Public House (748 SW Bay Blvd. ; rogue.com), and then head down one of the adjacent docks to pick up the freshest fish possible for dinner. But there’s a catch (no pun intended): You have to buy the whole fish. Sellers will fillet it for you, but you’ll need a cooler for transport and either a hungry crowd or a roomy freezer. Visit the Oregon Albacore Commission’s website (oregonalbacore.org) for a list of fishers and their contact info, so you can check prices and availability before you make the trip. D.C.
Any way you go, getting to this tiny, windy southern Oregon town is a long haul—eight hours by car, or fly into North Bend, a half-hour away. 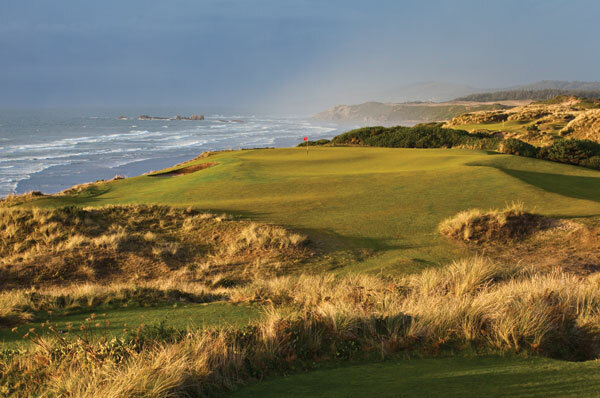 But make the effort and you’ll be rewarded with something truly special—and not only the Bandon Dunes Golf Resort (57744 Round Lake Drive; 541.347.4380; bandondunesgolf.com), which Golf Magazine places on “the short list of pilgrimages all golfers must make before they die.” A total of five true links courses roll across the undulating dunes, with breathtaking ocean views, along with first-rate rooms and restaurants. Bandon is a golfer’s paradise, true, but there’s something there for the swing-impaired: one of the most beautiful beaches on the Oregon coast. Walk the (really windy!) shoreline for miles, weaving in and out of dozens of Stonehenge-worthy sea stacks, many of which have throughway “caves” that can be explored at low tide. This one is great for kids. Stay in a sweet, well-priced room at the Bandon Inn on a bluff overlooking Old Town and the marina ($134–$175 at peak season. 355 Highway 101; 800.526.0209; bandoninn.com). Then walk down to the tiny town, where a few surprises await: a visit to Coastal Mist (210 Second St. SE; 541.347.3300; coastalmist.com), a regular winner at the Oregon Chocolate Festival (sip the drinking caramel), and a very fine dinner at The Loft (315 First St. SE; 541.329.0535; theloftofbandon.com), a cozy room over the town’s adorable micro marina (try the warm smoked salmon and goat cheese tart). Just a block out of town is the Face Rock Creamery (680 Second St.; 541.347.3223; facerockcreamery.com), where cheese maker Brad Sinko—formerly of Beecher’s (and the creator of its beloved Flagship cheese)—started winning big national cheese awards just three months after the 2012 opening. Bite into the Vampire Slayer curds and you’ll understand why. K.R.